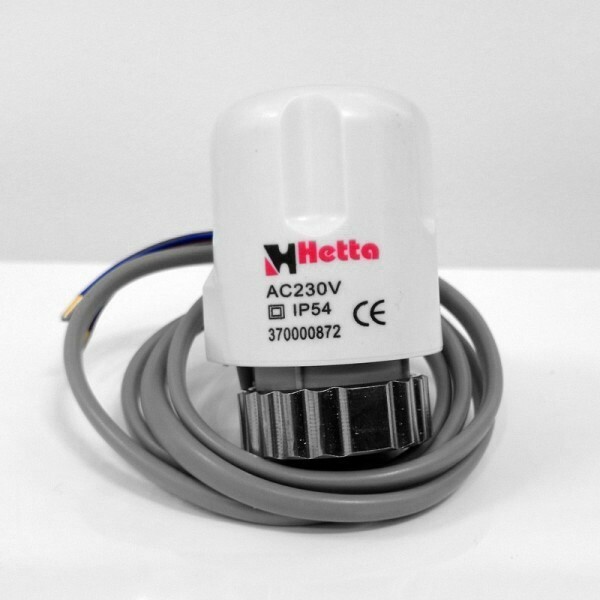 230 volt actuator 2 wire/normally closed. Fits majority of manifolds thanks to the M30 thread and 5mm of maximum travel. The energy-saving LED diode signals system operation ie when thermostat calls for heat.